Another variation on the "Cash for Clunkers" theme that might be enough to get a local kitchen remodeler spending some money (and making some sales). For any newspaper ad rep who has a kitchen remodeler in their territory, here's an idea I saw in a New York metro newspaper this past Sunday. 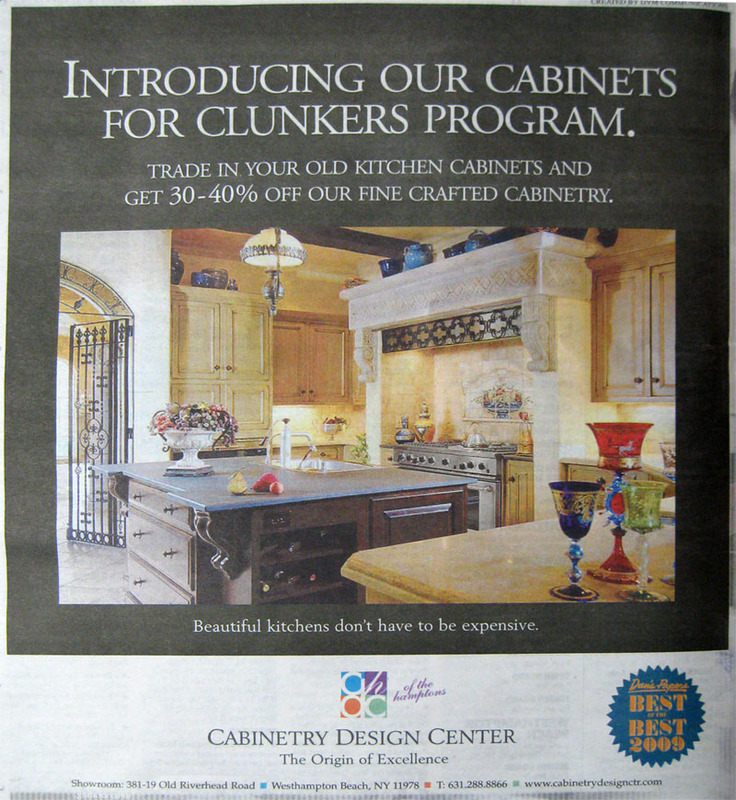 It plays off of the whole U.S. "Cash for Clunkers" initiative by promoting "Cash for Cabinets". The ad is a little light on substance in my opinion, not really addressing the reasons why people buy from one place rather than another, but I think the idea is brilliant and a great excuse to get back into a prospect or existing client who has been cutting back. 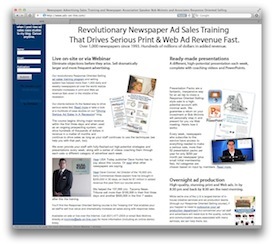 Click on the image of the ad for a larger view.